Along with Pasta e Patate, Pasta Fazool (or Pasta e Fasul according to with the Neapolitan dialect) is one of the most popular cream soup of the Neapolitan cuisine. The origin of this recipe is ancient and derives from the bean and grains soups of the Roman Empire. The historical Neapolitan cuisine had been divided into two different categories: one for the rich and nobles, and another one for the poor people. The Pasta e Fasul were considered a recipe for the people, so the Chef of the Noble families ignored it. A legend tells of noblemen that use to dress up with plebeian clothes and blend with the normal people into the taverns to taste the delicious Pasta Fazool! 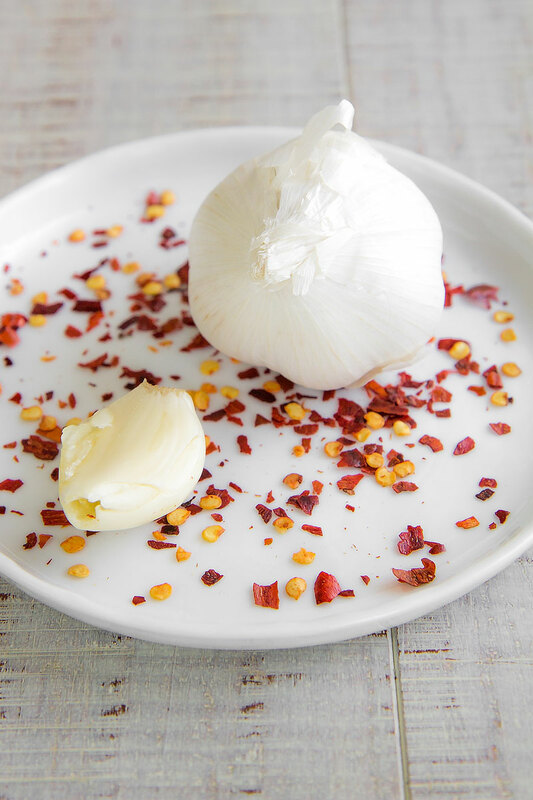 The first written recipe of a Neapolitan bean soup is dated 1837 and written into the cookbook “La Cucina Teorico-Pratica” by Ippolito Cavalcanti. Into the “Cucina Napoletana” (1965) the famous food critic Jeanne Carola Francesconi wrote a variation of Pasta e Fasul very close to the contemporary recipe. The Italian Bean soup has ancient roots. Since the time of the Roman Empire, it was common to prepare this with the only variety of beans known at that time: the black eye peas, imported from West Africa. 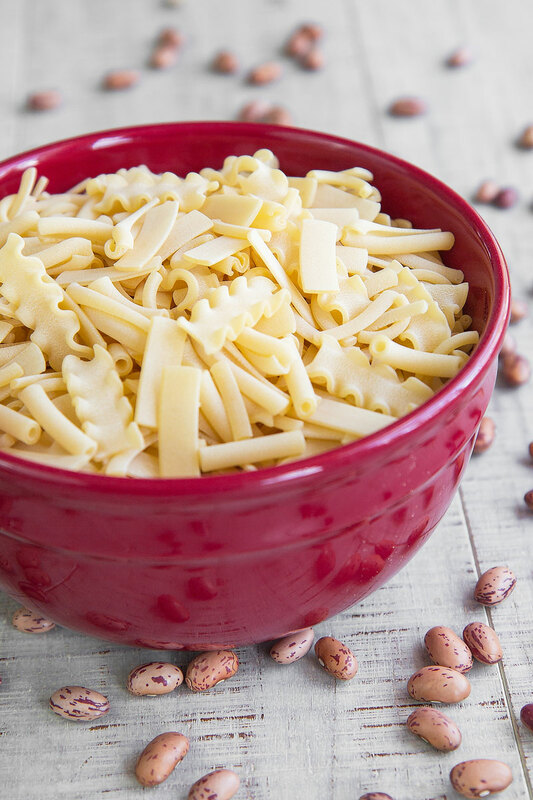 The Beans and Pasta soup as we know it nowadays comes with the discovery of America, and the importation of the American beans started since the first years of the XVI Century. The Pope Clement VII (born Giulio de’ Medici) introduced the new beans since 1528, at first in Tuscany and the Papal States, then in Veneto where the canon Pietro Valeriano started the plantation of beans in the countryside around Belluno. Then, in a few years, the new beans arrived in Southern Italy. 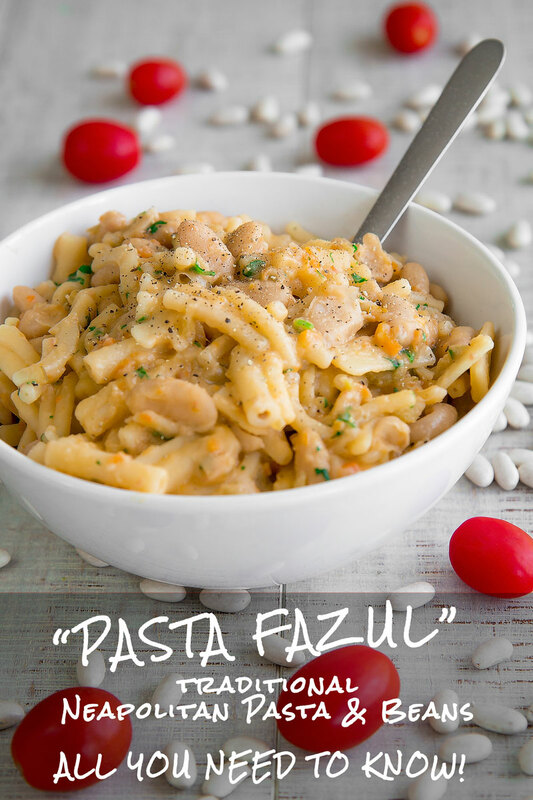 The most popular bean varieties to prepare Pasta Fazool are Cannellini and Borlotti. This choice can provoke strong discussions about what is the most traditional bean (!?!). The cannellini beans are more delicate in taste, and creamy. They pair perfectly with fresh cherry tomatoes and parsley. The Borlotti beans have a savory taste and pairs better with stronger herbs like oregano, or tomato paste. Borlotti are difficult to find outside Italy, but they and easily substituted with Pinto or Cranberries beans. The main herbs traditionally used to prepare Pasta Fazool are Oregano, Parsley, and Bay Leaf, combined or not. I support the idea to use parsley with white Cannellini beans, and oregano with Borlotti. 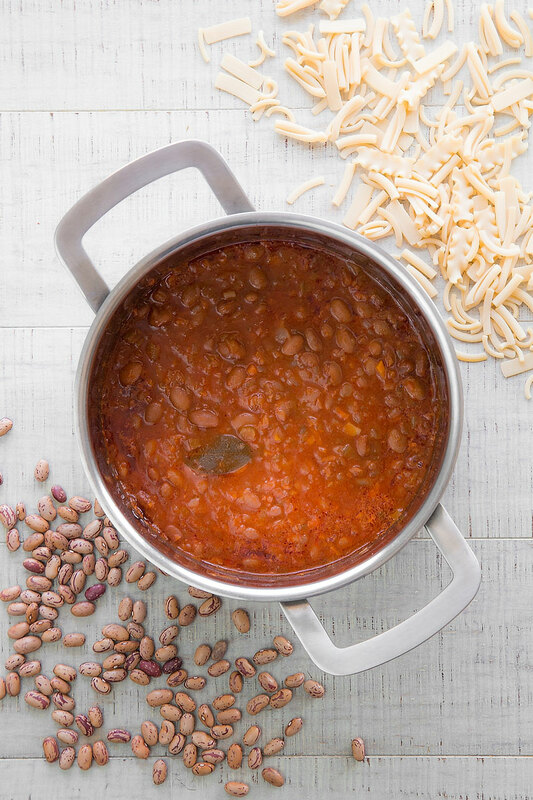 The bay leaf pairs perfectly with both bean varieties. The discussions about the tomatoes are almost the same concerning the bean varieties: some chefs prefer the fresh taste of cherry tomatoes, some others prefer the intensity of tomato puree. 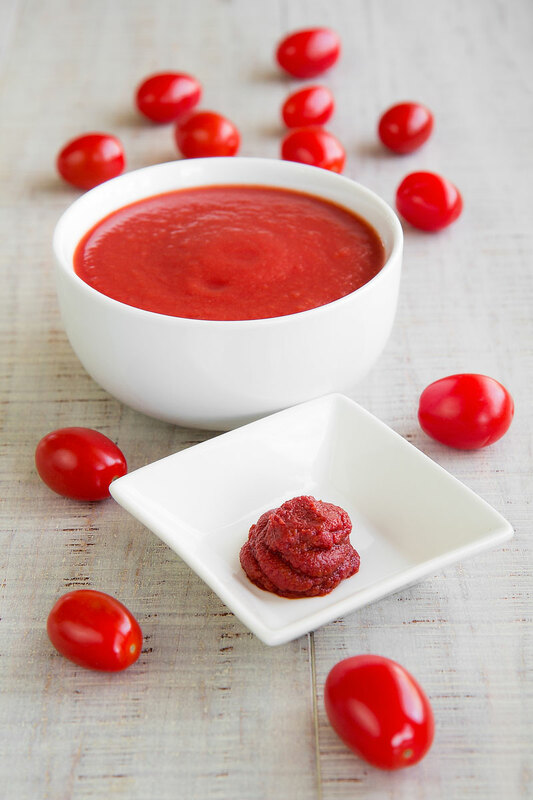 Jeanne Carola Francesconi adds concentrated tomato paste to the tomato puree to obtain a stronger taste. I love to use cherry tomatoes with Cannellini, and tomato puree and paste with Borlotti. This delicious recipe has an extremely poor origin, so likely it was born traditionally vegan. The poor people use to enrich the basic Pasta Fazool with the protein they find: commonly, pork rinds melted lard or mussels. About the new wave of Neapolitan cuisine, it is interesting the variation of the Chef Peppe Guida, that add ‘nduja (Calabrian spreadable, salami) to his Pasta e Fasul. 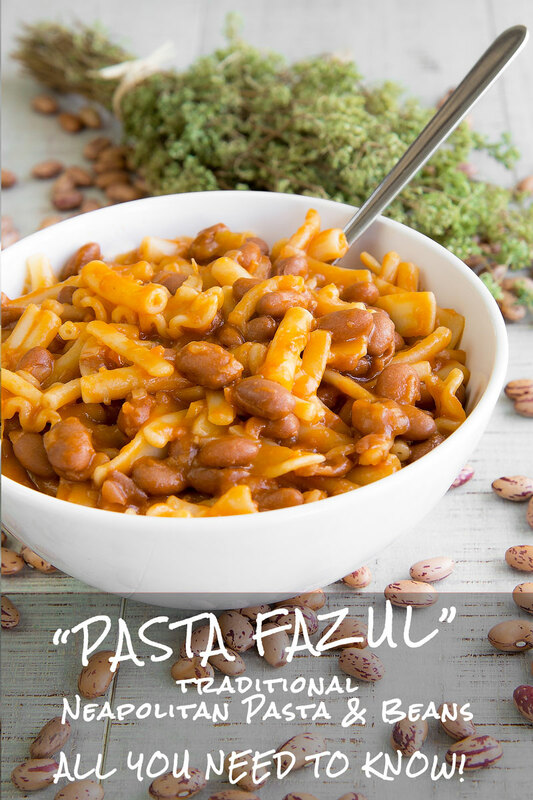 Traditionally, the Pasta e Fasul is made with Pasta Mista (mixed pasta), called in Neapolitan dialect Munuzzaglia. This blend of different short pasta shapes derives from the tradition to use the remains of different pasta boxes to prepare creamy soups like Pasta Fazool, Pasta e Patate, or Pasta e Ceci. Into the years, this tradition became so popular that several pasta brands started to produce Pasta Mista industrially. Dried beans are absolutely the best option. But if you are short on time, consider using pre-cooked canned beans. First of all, rinse the beans under running water, and pour them into a glass or plastic bowl. After that, submerge the beans with abundant water and soak for at least 12 hours up to 15 hours. Now, peel and cut an onion into quarters. After that, rinse the beans again, and simmer them along with the onion and two bay leaves for about 90 mins until tender but still in shape. Discard the foam that emerges with a slotted spoon, particularly the first few minutes of simmering. Finally, raise the beans, discard the onion quarters and the bay leaves, and save the bean broth. DENSITY – The density of the Neapolitan Pasta e Fasul may vary a little, but is absolutely creamy and thick, so much that sometimes it is served into plates instead of bowls! REST – To reach the right density and the flavors maturation, the Pasta e Fasul is served warm after a rest of 5 to 15 minutes. PASTA – As I said, the best pasta to prepare this recipe is Pasta Mista. If you are not able to find this shape of Pasta (I buy mine here), use a generic type of short pasta. PREPARING PASTA FAZOOL IN ADVANCE – The traditional Pasta e Fasul is often prepared one or two days in advance. In this case, you have two option. The first one, just prepares the whole recipe, then place in the fridge and re-heat slowly along a few tbsp of water. In this case, the pasta will be overcooked, but full of flavor. To have the pasta “al dente”, prepare the soup in advance, then store in the fridge, and cook the pasta into the re-heated soup just before serving. 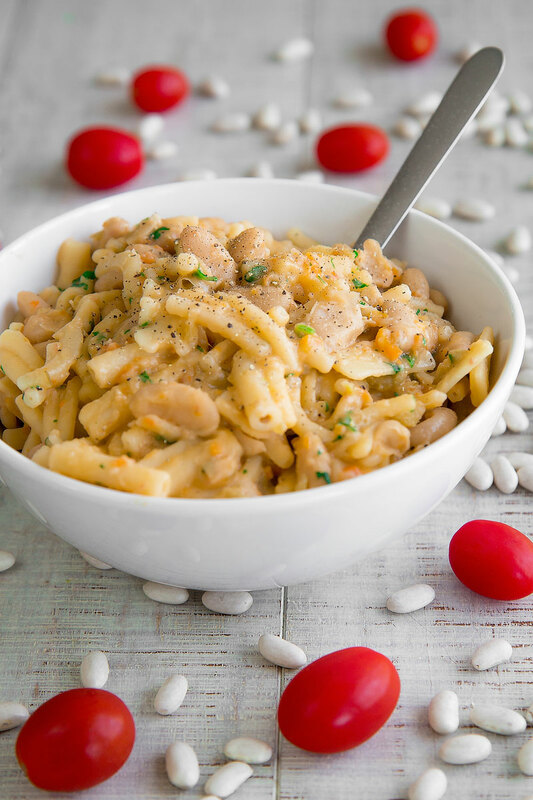 The cannellini Pasta Fazool is a flavorful version that recall the taste of the summer, thanks to the cherry tomatoes and the fresh parsley. Cannellini beans are particularly creamy and easy to pair to a particular protein: Mussels! 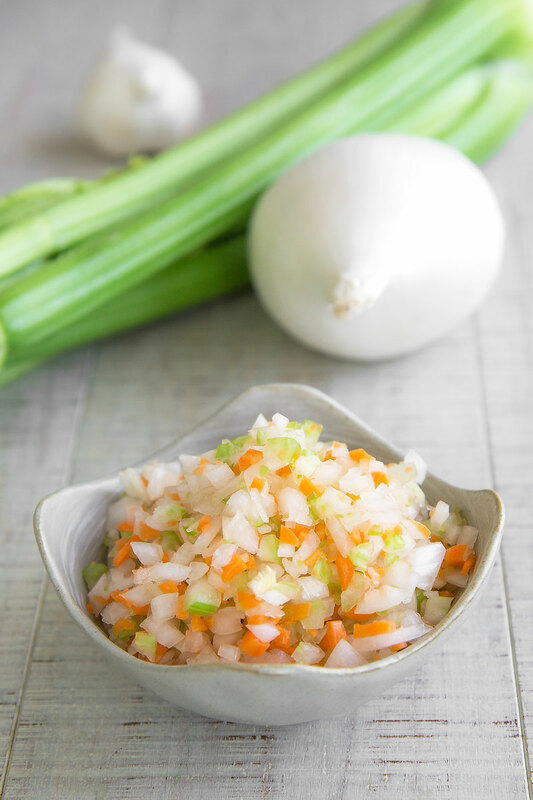 First, peel the carrot, the onion, and the garlic, then mince them along with the celery stalk. At this point, pour the vegetables in a pot along with 3 tbsp of olive oil, 1 bay leaf a pinch of salt and a dash of chili pepper. Then, sauté over medium flame until soft and translucent. If you want to start from dried beans, read the paragraph above "Beans: dried or cooked?" Now, mince the cherry tomatoes and add them into the pot along with the pre-cooked beans. Stir well, then add 1 cup of bean broth or water and cover the pot. Cook the beans low and slow about 1 hour until creamy, adding more liquid when necessary. Once ready, cook the pasta directly into the bean soup. Before starting, prepare another pot filled with boiling water. Now pour 1 ladle of boiling water into the beans pot along with the pasta, then cook over medium flame frequently stirring, particularly the first minutes. Add a ladle of water at a time until the pasta is perfectly cooked, but the soup is still dense, not watery. Finally, complete the Pasta Fazool with minced fresh parsley, 3 tbsp of extra-virgin olive oil, and a dash of black pepper (optional), then whisk and rest a few minutes before serving. The Borlotti pasta e fazool is stronger in taste than the cannellini version. 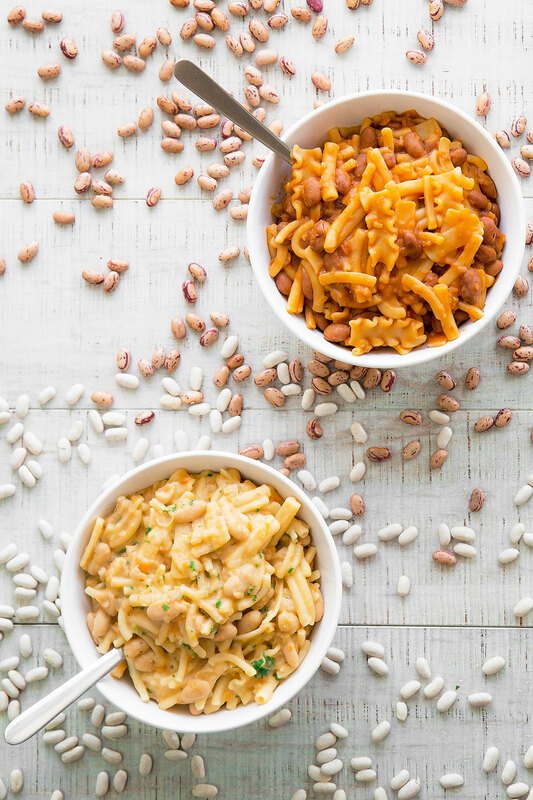 I love to call this recipe the wintry pasta beans! The tomato puree pairs perfectly with this variety of beans and dried oregano. 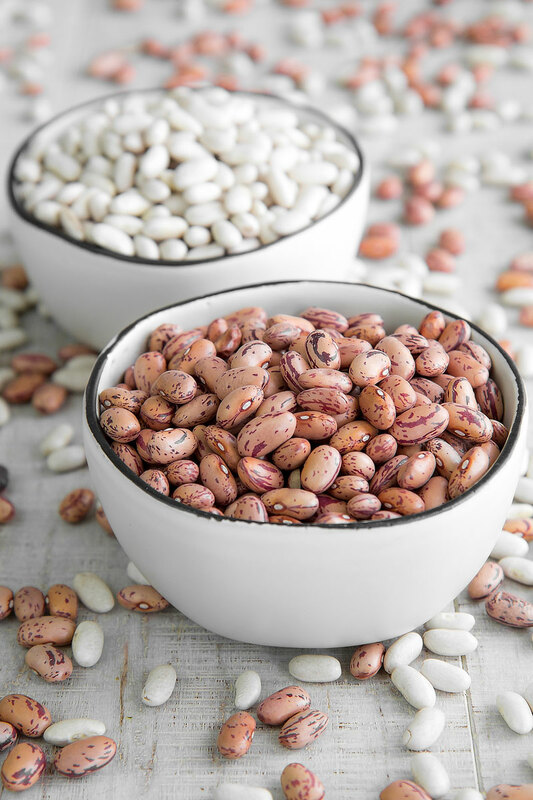 Outside Italy, Borlotti are not easy to find, so I suggest to substitute them with Pinto beans! First, peel the carrot, the onion, and the garlic, then mince them along with the celery stalk. At this point, pour the vegetables in a pot along with 3 tbsp of olive oil, 1 bat leaf a pinch of salt and a dash of chili pepper. Then, sauté over medium flame until soft and translucent. At this point add the double concentrated tomato paste, and sauté a couple of minutes more. Then, add the tomato puree and the dried oregano. Keep cooking 10 minutes more, stirring occasionally. Now, mince the cherry tomatoes and add them into the pot along with the pre-cooked beans. Stir well, then add 1 cup of bean broth or water then cover the pot. Cook the beans low and slow about 1 hour until creamy, adding more liquid when necessary. Finally, if you like add a dash of black pepper and 3 tbsp of extra-virgin olive oil, then whisk and rest a few minutes before serving. « ALOO MATAR RECIPE: potatoes and peas Punjabi curry – all you need to know!